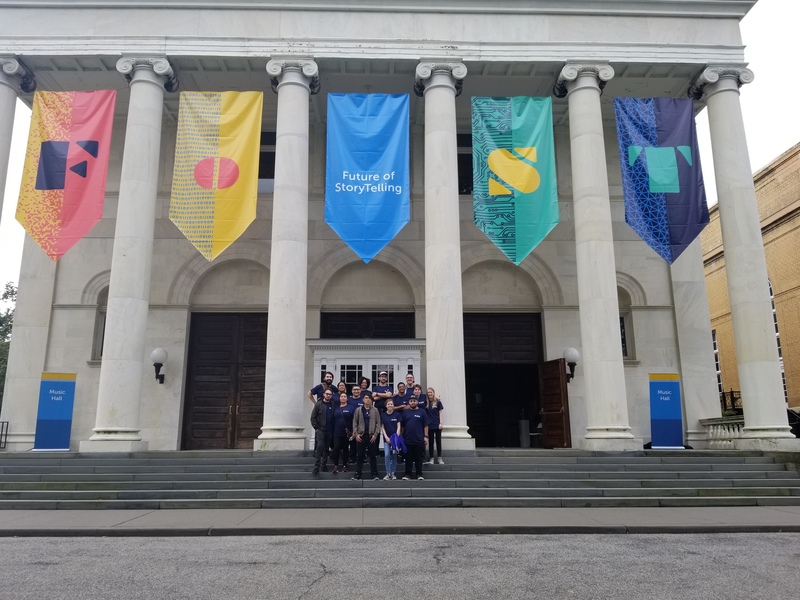 A small group of PCA&D Digital Media students took a trip on October 3 and 4th to volunteer at the FoST: Future of Storytelling Summit in New York, one of the leading conferences for emerging new media and virtual reality. 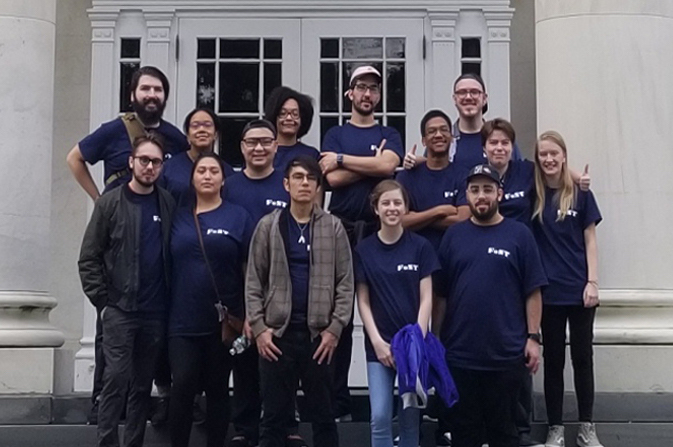 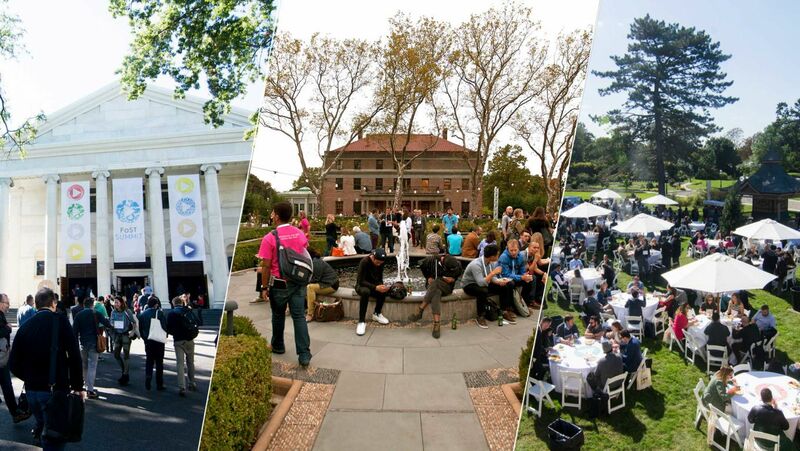 Most attendees are CEO's, directors, or established industry members looking to grow their networks and our digital media students and alumni were awarded both volunteer positions and paid leadership volunteer positions which allowed them to attend the summit. 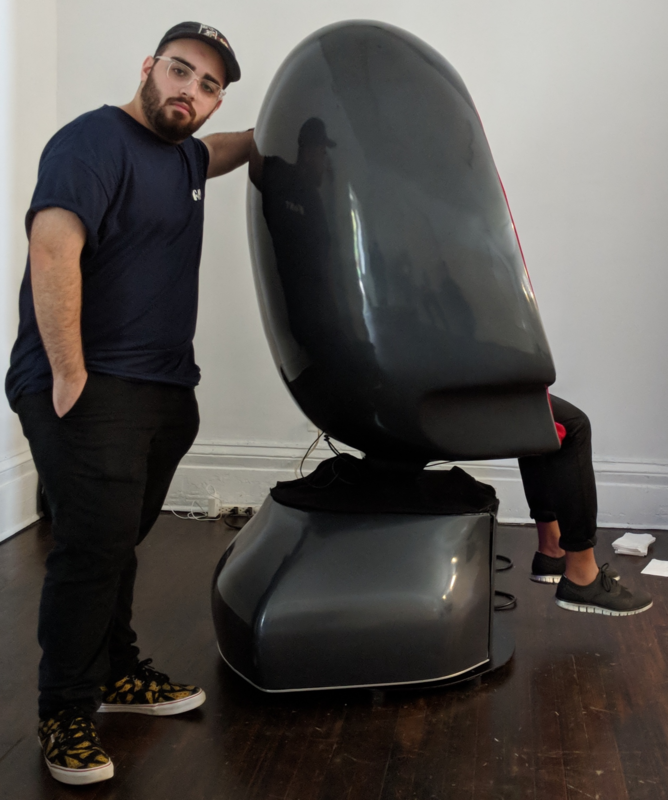 According to Nick LeDonne, digital media faculty member to arranged for the experience for the students, the PCA&D students had interesting stories about trying out the VR (virtual reality) experiences.